Solar energy systems "make good financial sense" | West Coast Solar, Inc.
As temperatures rise, California residents and businesses are starting to really crank up their air conditioners and house fans to keep their homes livable. 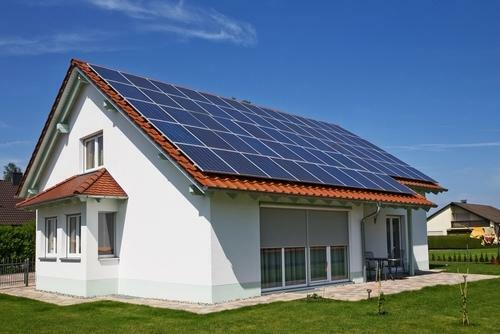 Consequently they’ll see their utility bills rise dramatically, giving some pause for thought about whether it might be a good idea to consider switching to California solar power for their electrical needs. A recent article in the Pocono Record, a local news publication, declares that, given rising electricity rates and the existence of rebate programs for customers who install a renewable energy source on their property, solar panels “make good financial sense”. The article highlights the many reasons that people have come around to solar power, once thought to be too expensive for widespread adoption. In fact, it has become very affordable, as solar panel prices continue to drop. In addition, rebates provided by the California Solar Initiative make it such that residents and businesses could conceivably eliminate their electricity bills depending on when they use the most energy. For customers who are still unsure they can cover the upfront costs of installation, there are financing and lease options available that help defray the expense. In other words, going solar has never been easier. Contact West Coast Solar today for more information on how your home or business can benefit from this exciting technology.